Sparrow is a late game carry hero. Though it may take a long time for her damage to be significant, she could be an absolute monster late game. 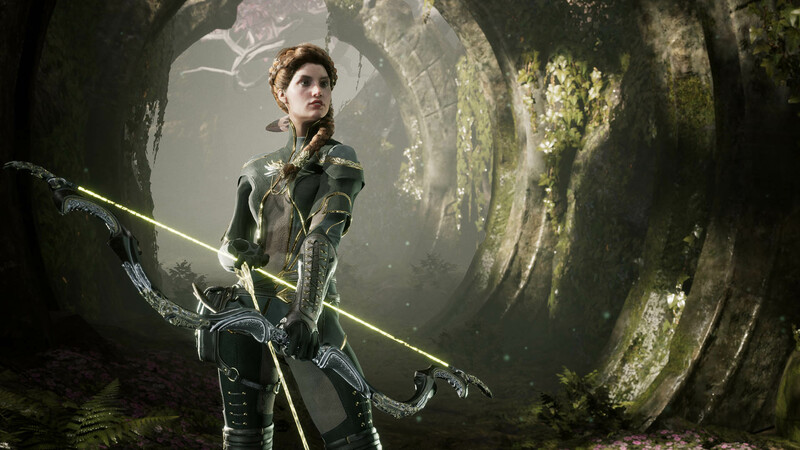 Unlike Murdock or Twinblast that can bully or outright kill their opponents once they hit level 5, sparrow has to continue farming in hopes that your team can survive until the point where she has a few items to be relevant. What sets her apart from the other carries is her AoE spammable skills. This makes pushing and wave clearing easy. 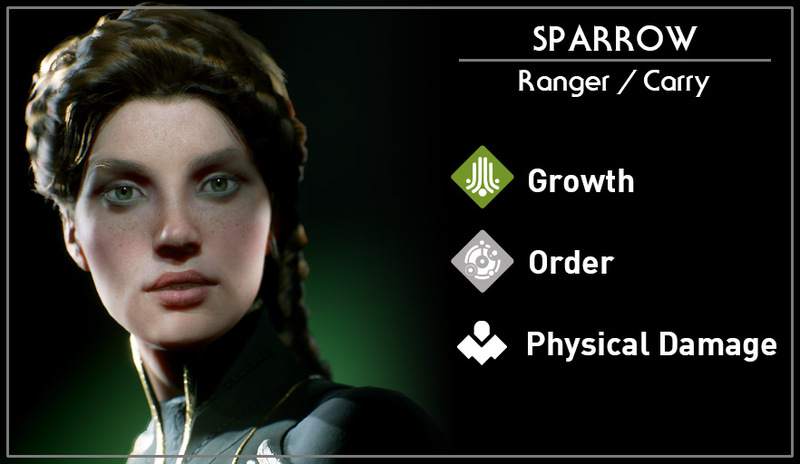 Sparrow deals more damage with consecutive hits to a target. Sparrows single target ranged attack. Sparrow draws her bow back while charging this skill. When released, launches out a line skill shot that damages and pierces all targets. Sparrow fires a barrage of arrows in an area dealing damage over the duration of the barrage. Increases Sparrows attack speed for the next 3 basic attacks. Sparrow splits her basic attack into 3 arrows, piercing all targets hit.